SSC has released the admit card for SSC CGL Tier III exam. Admit card is out for all regions – North Western, Central Region, Kerala Karnataka Region , Madhya Pradesh Region, Western Region, Central Region and Eastern Region. All the students who qualified the SSC CGL Tier 2 exam can now download the SSC CGL Tier 3 Admit card. You can find the direct link to download the admit card in this article. You can also check the official website (www.ssc.nic.in) to download the SSC CGL Tier III admit card. Click on the direct link provided in the table for your respective region. Look for the link ‘Download Admit Card’ and click on it. You will get to know your venue, exam date & exam timing. Do not worry if admit card is not out for your region. We will post it here as soon as it is out. A proof of Photo, also a Proof of Address. SSC CGL Admit Card 2017 for Tier III Out – Know Your Exam Schedule! SSC CGL Admit Card for Tier 3 out – Download the call letter for Karnataka Kerala Region! SSC CGL Admit Card 2018 for Tier III is out. At present, admit card is out for KKR region. All the students who qualified the SSC CGL Tier 2 exam can now download the SSC CGL Tier 3 Admit card. For now the admit card of KKR Region (Karnataka Kerala Region) is out. The hall ticket of other SSC regions will be released soon. You can find the direct link to download the admit card further in this article. As of now the exam schedule of Karnataka Kerala Region is out. We will keep updating this page as soon as the admit card of other regions will be released. Staff Selection Commission has announced exam dates for SSC CGL Tier III and Tier IV exam. In its latest announcement, SSC has released the SSC CGL Exam date, Time and Venue for all appearing candidates. 30,26,599 candidates registered this year for SSC CGL. A total of 15,43,962 candidates appeared for SSC CGL Tier I exam conducted in 43 Batches across the Country from 5th August 2017 to 23rd August 2017. The SSC CGL Tier II exam was finally held between 17th to 22nd February 2018, after multiple postponement of the exam. The re-exam for SSC CGL Tier II was held on 9th March 2018 for Quantitative Aptitude paper. The Tier III exam was scheduled on 31st March 2018. However, the exam date has been postponed to the month of May 2018. Scroll down to read more. Candidates have to qualify for Tier I, Tier II, and subsequently in Tier III with a high score to secure a rank in the final merit list released by the SSC. The appointment of posts for candidates will be done on the basis of the merit and posts selected. 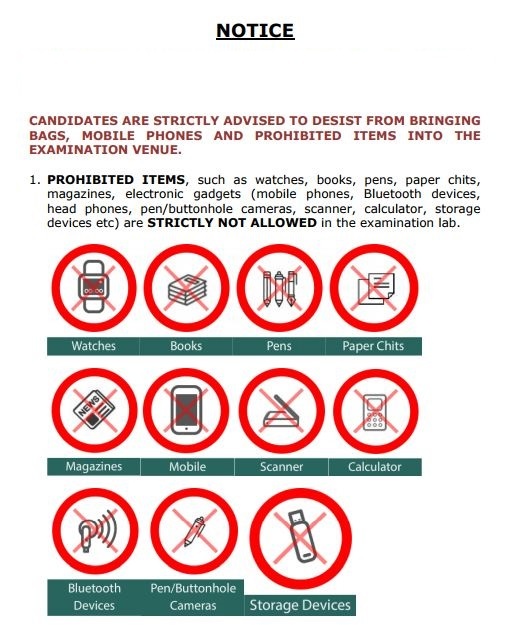 Candidates will have to clear each of the 3 or 4 levels of exams. It is a descriptive test that will be testing your communication skills in English/Hindi. You need to write an Essay and a Letter/Application/Precis. And you must complete the paper consisting of 100 marks within 60 minutes. Tier IV consists of Skill Test specific to certain post requirements. Data entry speed test will be conducted for certain posts and Computer Proficiency Test for the other posts. Staff Selection commission or SSC has declared SSC CGL tier 1 Marks List PDF. The SSC CGL exam conducted by the Staff Selection commission from August 5 to August 23 for 30,26,599 registered candidates. A total of 15,43,962 candidates appeared in this examination which was conducted in 43 Batches across the Country from 5th August 2017 to 23rd August 2017. We have provided links below to download SSC CGL Tier 1 Marks PDF. You can use Google Drive links to Download the Marks PDF as Official links might not load. Negative Marking or Penalty of 0.25 marks for every wrong answer. Increase in number of vacancies: Previously, the number of vacancies was said to be 3805, but now the vacancies have increased to 8089, which is good news for all candidates. Stay tuned for more updates on SSC CGL 2017 Tier 1 Marks PDF Download!